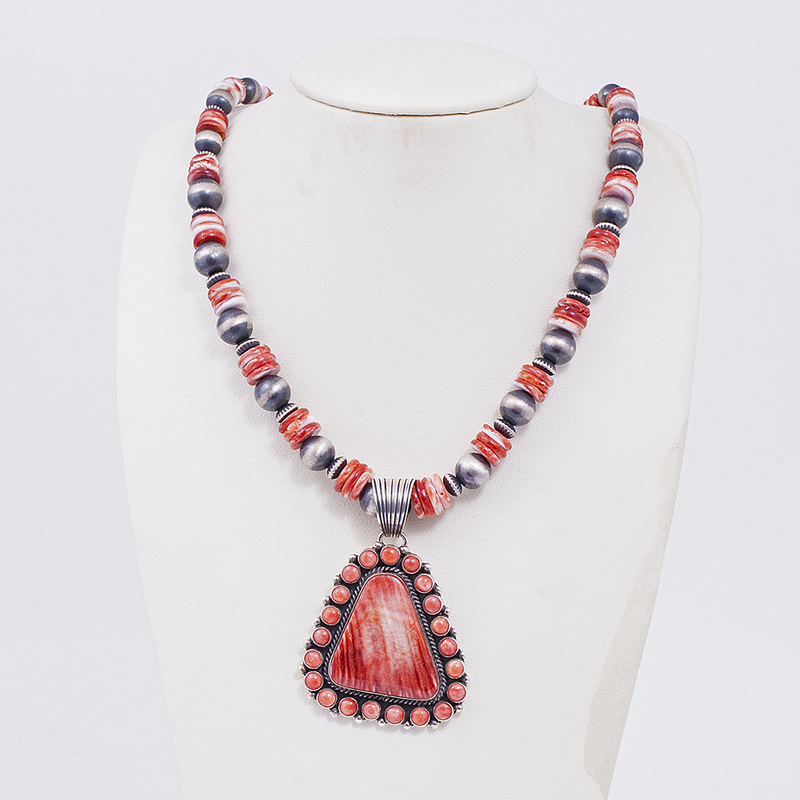 This traditionally fashioned Spiny Oyster Shell Necklace displays vibrant red that brings life to any style. A large triangle pendant of variegated red shell is surrounded by perfect circles of matching shells. The included beads are interspersed with smooth and fluted satin finish sterling beads. The fine details and lovely stamp work show the skill of this well known Navajo artist, La Rose Ganadonegro. Necklace measures 18″ end to end, while the detachable pendant measures 2″ in length by 2″ in width with a 3/4″ bail. Hallmarked with La Rose’s traditional rose stamp and “Sterling”. Weighs 79.7 grams. La Rose Ganadonegro Spiny Necklace features brilliant red matched with Sterling. 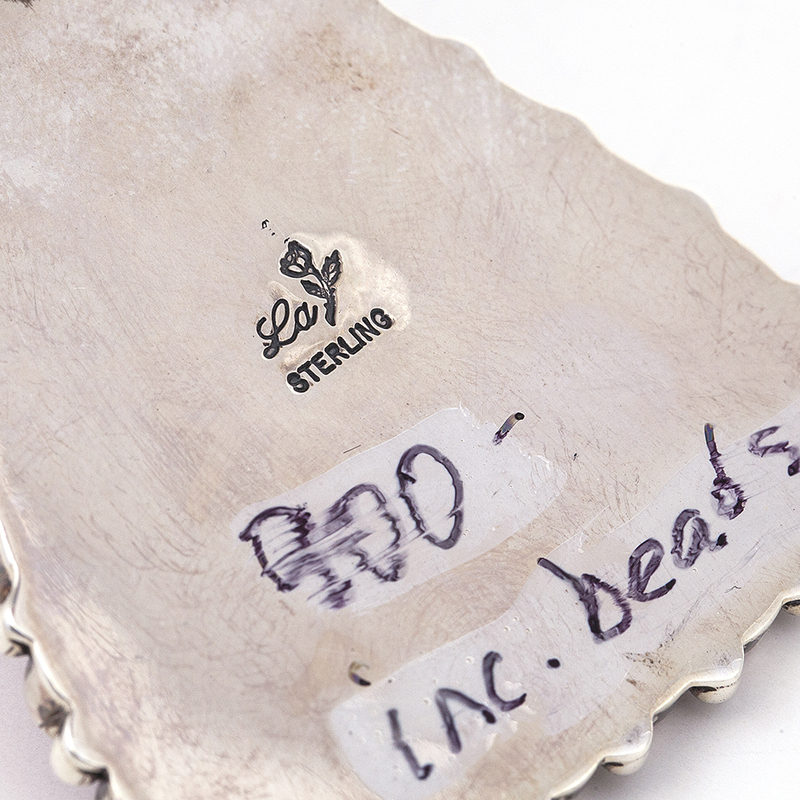 Handmade by this talented Native American Silversmith of the Navajo tribe.